As a manufacturer, the struggle to improve productivity with fewer and fewer resources is a fact of life. To stay competitive, you need to get more done with less than the competition. This means finding ways to minimize waste, reduce downtime, improve consistency, and prevent damage to manufactured parts. So, what does this have to do with custom cleaning containers such as ultrasonic parts washing baskets or degreasing trays? Quite a lot, actually. Few things are quite as wasteful in a production process of any kind as having to throw out a near-complete part because of damage incurred in the finishing process. Not only do you lose out on the materials used in the part, but the time and labor used to process that part up to that point are wasted as well. Damage in the finishing process can occur because of flaws in the stock basket’s design that allow parts to violently impact one another or even the sides of the container randomly during the finishing process. Custom parts washing containers can help prevent this damage with special dividers that separate parts, or custom wire shapes that hold parts securely in place so that impacts and rattling of parts does not occur. This reduces the amount of damage parts suffer in the cleaning process, limiting the number of parts rejections and waste in your production process. In turn, this helps you improve throughput for your production line. One of the major issues with using a stock basket or tray that comes with a given parts washing machine is that those containers are optimized to only (barely) work with that one piece of equipment. 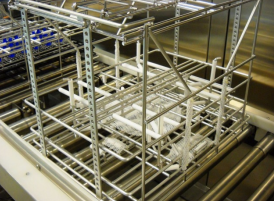 When you have multiple parts finishing machines in your production process, your workers often have to spend a prohibitive amount of time on moving parts from one basket to the next. Why? Because, in many cases the stock basket that comes with one machine would not survive another machine’s process. For example, say that you had one machine that sterilized parts through heat treatment, and the next machine used an aqueous washing solution. The baskets for the first machine would not typically be designed for corrosion resistance, so the aqueous solution would destroy these baskets, necessitating a change of baskets between processes. With a custom container design, however, you could have a basket or tray that is able to take the stresses of both processes, saving you valuable time and labor on moving parts manually from one container to the next. This would reduce production downtime and improve your productivity. One of the other issues with a stock container is that such containers are built to the bare minimum specifications necessary. They are not built with your production process’ weight limits, temperatures, and chemicals in mind. So, if any element of your production process exceeds the limits of the stock container’s design, you can be sure that the container will break, corrode, or deform before too long, requiring you to replace it. A custom-built container, on the other hand, is designed with your production process in mind so that its specifications meet or exceed the stresses of your process. This helps to ensure a much longer useful life for the container, making it so that you can rely on these containers for much longer than their stock counterparts. This means more time spent using the containers, and less time spent waiting for replacements for your broken containers. 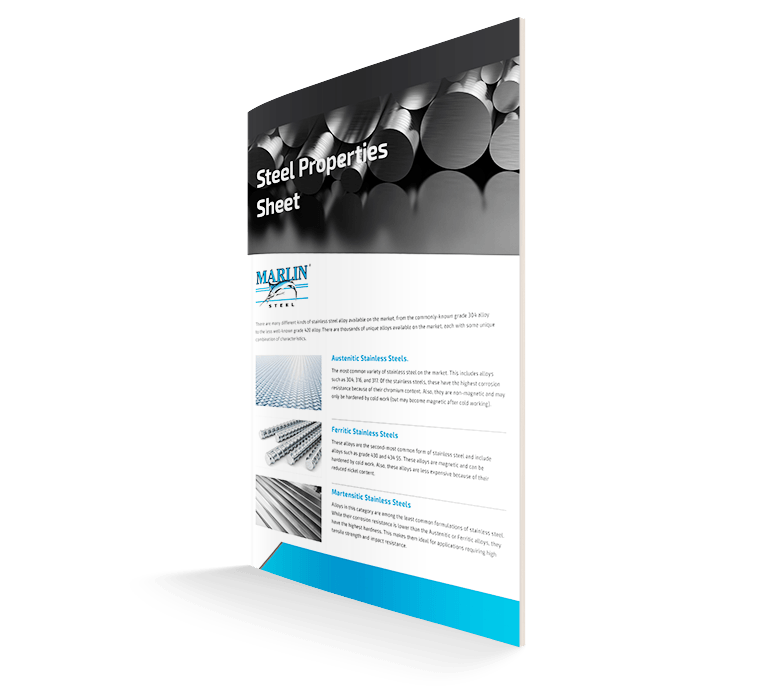 Bottom line: by using a custom steel wire tray or basket design for your production process, you can improve your productivity, which is one of the most important things for any manufacturer to do.